We are just 3 weeks away from the first-ever Barefoot Training Summit this May 15 – 17 at Project MOVE in Littleton, CO. I am very excited to introduce another one of our great presenters who will be sharing barefoot training drills and science at this unique three day event. 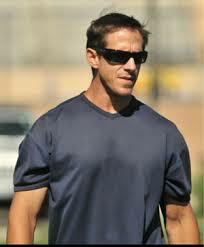 Meet Loren Landow the Director of Performance at the Steadman Hawkins Clinic in Denver, CO. I first heard about Loren Landow when he was presenting barefoot science at the NSCA National Conference in Las Vegas. As a barefoot educator I knew I had to meet this man! Thank you for taking the time to answer a few questions. We are very excited to have you as part of the first-ever Barefoot Training Summit presenter line-up. Can you tell readers a little bit about your background and how you currently use barefoot training in your practice? My background has been learning applying practices to maximize efficiency. The foot is the most assumed and misunderstood structure in the body- highly neglected area but the area that if not provided attention will have a trickle down of issues to other joints. My line of clientele are high performing athletes that must be armed with the most efficient strategies. How we load the foot in action in shoe wear and subsequently how we remove the shoes increases sensory feedback while making the structure more resilient to force. Very well said and couldn’t agree more! As a professional who currently integrates barefoot principles into their athletes programming what do you think are some of the biggest misconceptions around barefoot training for shod athletes? How would you answer a coach or trainer that says “my athlete competes in shoes why would he / she ever train barefoot”? There is a lot of misconception of barefoot meaning just kicking off the shoes and going for a run. Barefoot training must be micro progressed from activation patterns in open chain to integration in closed chain. It must also include initial static loads and then increase amplitude to bilateral movements and multi plane changes with eccentric control being the backbone of rearfoot- midfoot- forefoot resilience. What can attendees of the Barefoot Training Summit expect to learn from your sessions? I use barefoot training as cool downs, low amplitude plyos and bilateral and unilateral strength work. Attendees will learn how I integrate these concepts but most importantly how it all must be micro progressed! To learn more about Loren Landow check out this great video of Loren talking about the mental component of training high performance athletes. For a dancer, athlete, surgeon or pilot – precision of movement is crucial to the success of their career. Even the slightest deviation in movement accuracy can have devastating ramifications – not just to themselves but also others. Although the demands of the above movements may not apply to all of us, can we still take the concept of movement accuracy and apply it to our everyday lives? Everyday in my office I am presented with patients experiencing foot pain such as Achilles tendonitis, plantar fasciitis and stress fractures – all injuries I associate with poor control of impact forces and an inaccuracy in movement patterns. The inaccuracy in movement patterns I am referencing is in their gait, or walking. As the second most common subconscious activity we do daily (besides breathing) the demands and movement accuracy needed for walking are often taken for granted. All too often the interaction between foot and ground is not appreciated and is overlooked by patients. Often referred to as a series of controlled falls, walking should require very little external energy. With each step w e take gravity is accelerating our swing leg forward into initial contact or heel strike. Upon heel contact 1 – 1.5x our body weight in impact forces enter our body in less than 50 milliseconds. This rapid input of impact forces is designed to be damped or absorbed by the body, stored as potential energy and released as elastic energy. Due to the rapid acceleration of impact forces the only way the body can effectively load this potential energy is if the ground is anticipated. If we wait for the foot to strke the ground to react to the impact forces – it is already too late. Delayed loading response can lead to movement inaccuracy, compensation patterns and injury. Movement accuracy is deeply linked to movement anticipation or pre-programmed motor responses set to known movement patterns. Often referred to as feed forward or pre-activation responses these motor patterns are stored in the cerebellum and are based on past experiences. 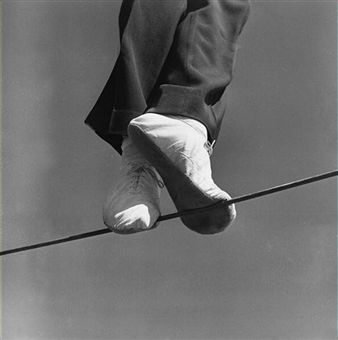 Imagine if we were able to walk and anticipate the ground and the impact forces before each heel strike? How would this impact our injury risk? If we begin to anticipate the ground we would be able to load impact forces faster and more effectively. We would be able to improve the accuracy of our movement patterns and reduce our risk of overuse or impact-related injury. When it comes to improving movement accuracy the biggest concept here is that our movement patterns are only as good as the information we bring into our nervous system. Bad movement patterns create movement inaccuracy. When it comes to walking and the loading of impact forces, one of the biggest contributors to movement inaccuracy is our shoes. With the plantar foot containing of thousands of highly sensitive mechanoceptors any barrier between the ground and the skin on the bottom of the foot will alter the accuracy of information coming into the nervous system. The accuracy of impact force rate and intensity will be altered. The accuracy of foot placement and perception of surface compliancy will be altered. Ultimately the risk of injury will be higher. Part of my prescription I give patients every day is to integrate barefoot stimulation into their daily routine. This may be as simple as barefoot trigger point release first thing in the morning. Or it may be 5 minutes of barefoot movement prep before a run. We are fast approaching the May 15 – 17 Barefoot Training Summit in Denver, CO! 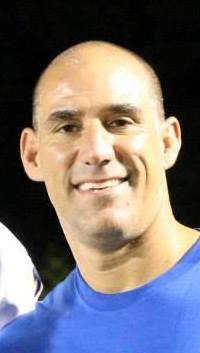 As we prepare for the 3-day educational event we want to take a moment to speak with this week’s Featured Presenter – Dr Mike Martino of Georgia College and Bodyplex in Midgeville, GA. Thank you for taking a few minutes to talk to EBFA. Congratulations on recently participating in EBFA’s Master Instructor Program! Can you tell readers how you have begun to apply barefoot science and where you find it’s greatest benefits in your practice? I began integrating barefoot evidence-based practice immediately after completing the BTS Level 1 workshop in California last June with Dr. Splichal. The MI Program has opened my eyes even more and I have been working with all of the athletic teams at Georgia College on implementing Barefoot Training prior to their traditional practices. In addition, I have assessed potential recruits from a biomechanical perspective to assess their abilities from a movement perspective from the ground up. We are also in the process of conducting three different barefoot studies looking at vertical jump performance under 4 different conditions including barefoot warm-ups, barefoot warm-up vs general warm-up effects on vertical jump, and balance and postural stability in barefoot vs shod conditions. I have also presented at a NSCA Regional event in April and will be presenting along side Dr. Splichal in Orlando in July. Finally, I have been invited to present on Barefoot Training at another NSCA Regional event in Vancouver, Canada, in August 2015. As Coordinator of the graduate level Exercise Science Program at Georgia College do you see a future with barefoot training principles taught on the academic level? Why do you think the next generation of health and fitness professionals should learn the benefits of barefoot training? Movement does start from the ground up!! I believe that Barefoot Training and understanding the Closed Kinetic Chain concept are one in the same. Graduate students should be able to assess foot mechanics and how the foot interacts with the ground and how this is a precursor to outstanding performance, programming, and injury prevention. So we are very honored to have you presenting at the first-ever Barefoot Training Summit this May 15 – 17 in Denver, CO. Can you tell the readers what you will be discussing during your sessions? I will be sharing how we evaluate our athletes and clients at Georgia College and at Bodyplex Milledgeville. My sessions will focus on the integration of Barefoot Training into our program design. In addition, I will be sharing a plethora of athletic drills that focus on from the ground up training. This will include some of the research that we have collected in our laboratory plus an overview of the research that has been done by Dr. Benno Nigg, Dr. Grace Smith, and other prominent foot mechanics researchers and what role they play in understanding optimal human performance. You can catch Dr Mike Martino at the Barefoot Training Summit on Saturday May 16th and Sunday May 17th! We are fast approaching the USA Barefoot Training Summit this May 15 – 17 at ProjectMOVE in Littleton, CO! As we prepare for this unique 3-day event I took a few minutes to sit down and chat with one of our presenters – Dr Cody Sipe. As Co-Founder of the Functional Aging Institute, Dr Cody Sipe (along with Dr Dan Ritchie) have been paving the way in the concept of functional longevity and re-defining the importance of movement programming as we age. Thank you for taking the time to answer a few questions Dr Cody Sipe. For all who may not be familiar with you and your company Functional Aging Institute can you briefly describe why you started FAI and the mission of your education company? FAI is the culmination of about 15 years of experience and the past several years of blood, sweat and tears. We started FAI so that we can make a difference in the lives of older adults in this country and around the world. There aren’t enough trainers that really understand how big of an opportunity this market is for them and their careers. They also don’t understand how much these people need them to be properly trained in how to work with them safely and effectively. For many years trainers would ask us what the best certification for training older adults was and, after carefully reviewing most of the ones out there, we determined that we couldn’t fully endorse any of them. So we decided to create our own. We have two missions at FAI. The first is to help older adults “do the things they NEED to do, LIKE to do and WANT to do easier, better and with less discomfort”. Our second mission is to help trainers build a successful, rewarding and meaningful career training mature clients. We are excited to have you on the presenter line-up at the first-ever Barefoot Training Summit coming this May 15 – 17 in Denver, CO. What are you going to be speaking about? There are a lot of different approaches to training older adults that people use. Most of them are based on false assumptions, stereotypes, myths, misconceptions and a lack of information. On one extreme we have those that completely ignore the fact that someone is 60 or 70 years old. They train them just like they would anyone else without recognizing their individual needs and considerations. On the other extreme we have those that train them like they are going to break. They treat them with kids’ gloves and baby them acting like they’ve got one foot in the grave already. Then there is pretty much everything in between. I am going to share effective, evidence based training strategies that are appropriate for a wide variety of older clients based on the model of training we have developed called the Functional Aging Training Model. It is a model that is not only safe and effective but also very popular with this group. What your belief about barefoot training for seniors or what EBFA calls “Barefoot Baby Boomers”? Our model of training emphasizes a comprehensive approach that addresses areas that are vital to maintaining physical function. Areas such as muscle strength and cardiovascular endurance are obviously important to address but just focusing on these two areas is insufficient. Barefoot training is a strategy that uniquely addresses areas such as somatosensation and proprioception that are also critical to physical function in older adults and that are NOT addressed by traditional training methods. I believe that barefoot training has the potential to improve gait, balance, mobility and overall physical function in this population more so than these traditional training methods.